Managing opioid dependence in pregnancy is a challenging task. Pregnancy makes opioid-dependent women highly motivated to modify their behaviour and engage in treatment for drug dependence that will benefit her and her unborn child . We describe a case of opioid dependence in pregnancy. Specific issues that need discussion include the choice of opioid substitution therapy and neonatal abstinence syndrome. Sunesh Kumar, M.D. (obs and gynae), is professor in the department of obstetrics and gynaecology in All India Institute of Medical Sciences, (AIIMS), New Delhi; Dr. Venus Dalal, M.D. 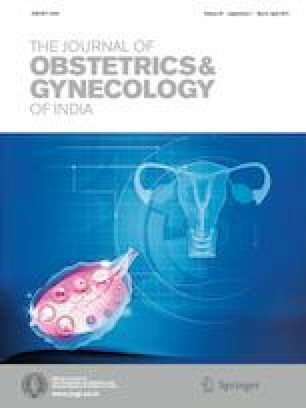 (obs and gynae), is senior resident in the department of obstetrics and gynaecology in All India Institute of Medical Sciences, (AIIMS), New Delhi; Dr. J.B. Sharma, M.D. (obs and gynae), is professor in the department of obstetrics and gynaecology in All India Institute of Medical Sciences, (AIIMS), New Delhi; Dr. Rakesh Chadda, M.D (psychiatry)., is professor of the psychiatry department in All India Institute of Medical Sciences, (AIIMS), New Delhi; Dr. Ramesh Agarwal, M.D. (paediatrics), is professor of the paediatrics department in All India institute of Medical Sciences, (AIIMS), New Delhi; Dr. K.K. Roy, M.D. (obs and gynae), is professor of the obstetrics and gynaecology department in All India Institute of Medical Sciences, (AIIM)S, New Delhi. All procedures followed were in accordance with the ethical standards of the responsible committee on human experimentation (institutional and national) and with the Helsinki Declaration of 1975, as revised in 2008 (5). Informed consent was obtained from patient for being included in the study.